A collector who searches for true refinement, which is found within every masterpiece in his wardrobe. His motive, retained from the African dream, envelops and distinguishes the leather jackets, light as clouds; their measured proportions following the lines of the body, with strong and masculine aspects. That’s the Stefano Ricci man! The focus is on creating a collector’s wardrobe, with outfits that recount a personal story created within a culture of elegance, with an attention to detail, absorption in materials and colours. 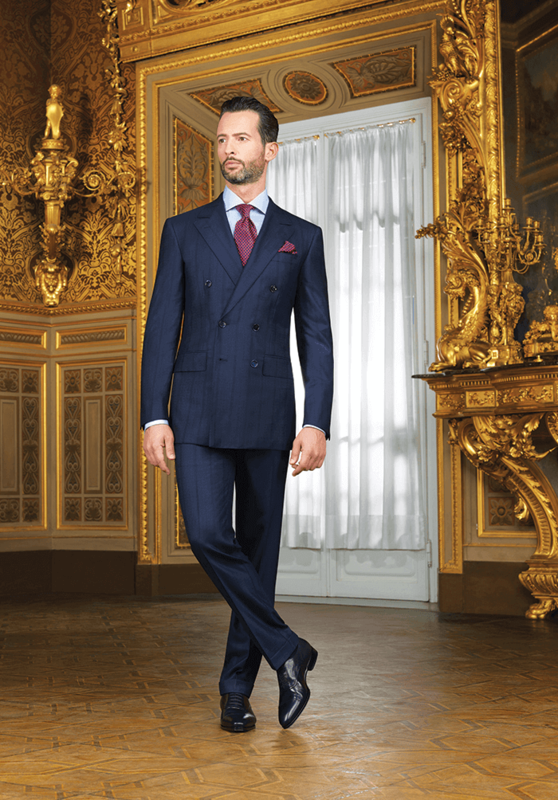 It is this sense of style that makes Stefano Ricci a summa of tailoring and tradition – the philosophy of the company founded in 1972 by my father. This season, the suave gentleman sports a classic look enriched with luxury jeans and comfortable sneakers, aligned for daily city life as well as relaxing moments. The colours are sober and classic, so that they can also be worn with an outfit broken by an English jacket — tasteful for the countryside — above a turtleneck sweater in tune with the colour of undergrowth. Bags and backpacks are the companions of everyday life, between business and leisure, similar to lace-up shoes that are hand-brushed in a warm palette. 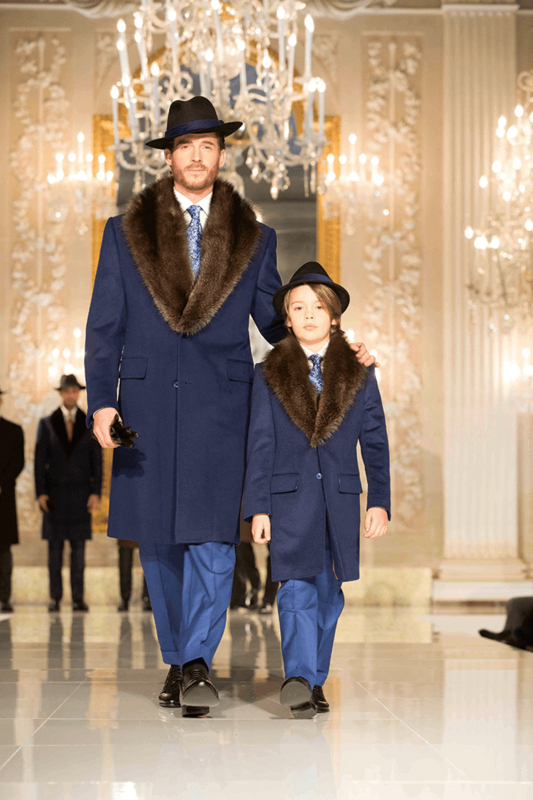 The overcoat, a symbol of fine dressing, is found in precious and lightweight fabric with sable lapels. Flashes of excellence are found in sophisticated knitwear — mocknecks and zip cardigans with leather and fur. 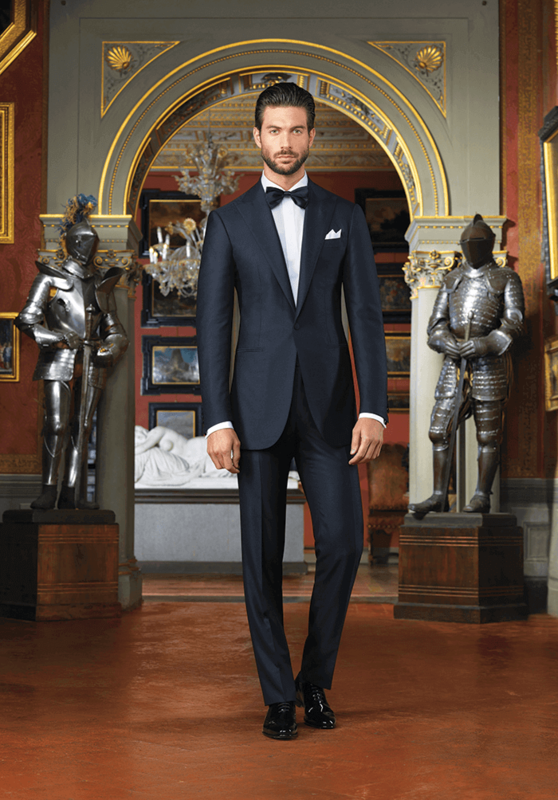 In the evening, elegance abounds, with attention to splendour that does not dazzle but conquers, with the impeccable touch of an heirloom tuxedo. This is our collection — homage to Frederick Stibbert, a lover of art who transformed his villa into a house-museum in the early 1900s. It was in this abode that I wanted to shoot the images for our advertising campaign. For years, we have invested in the best fabrics and exclusive workmanship, as we are convinced that our clients are always looking for beauty, quality and unique proposals. We consider every detail with great care. This includes searching for locations to showcase our collections in our catalogues. The first catalogues were inspired by natural geometries. Later, I came in contact with the René Magritte Foundation, and began to create reinterpretations of the Belgian surrealist’s paintings with our outfits, giving shape to his forms. But it was the fashion show to celebrate our company’s 40th anniversary, in 2012, that was the turning point. 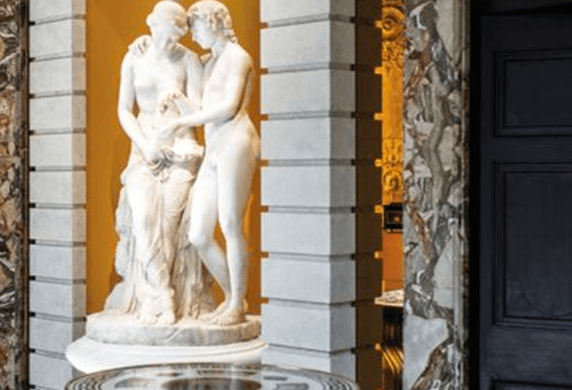 We brought our fashion into the Uffizi Gallery, one of the prominent art museums in Italy, next to Leonardo da Vinci, Botticelli and Michelangelo. This show inspired a catalogue that revisited the Uffizi’s collection of self portraits. My family has consistently expressed incorruptible values. The first and foremost of these is that every product is made in Italy. This is the result of a grand tradition of the ancient arts and guilds that dates back to the Middle Ages. We are privy to these unique abilities that the best artisans have brought into the new millennium. This heritage lives in a cut of precious crocodile leather, the grinding of a crystal glass from our SR Home Collection, the setting of brilliant diamonds that embellish a buckle, and in every step of an authentic bespoke creation. It is because this is Florence – the Florence that is loved by the world. Another vocation that distinguishes Stefano Ricci is absolute quality. Until a garment is perfect, it doesn’t leave our headquarters. This is why we took 20 years to open a monobrand boutique, choosing the Far East as a starting point. We opened our first boutique in Shanghai, in 1993. Now, we have 56 boutiques worldwide. All, designed by my father, include Californian briar-root wood, travertine marble or pietra serena. There is a perpetual search for techniques and finishes that we know will combine manual tradition with modern technology. Yet, we never sacrifice the pleasure of a precise hand-sewn double row of stitching. We don’t sell a style, but an emotion. This is for the man who already has everything and only buys for personal pleasure. We dress heads of state, business leaders, celebrities and clients who love quality. But we do not follow trends. However, we often anticipate them. This happened with plissé ties, a return to double breasted suits, silk shirts and pekan fur collars. There is also now a hue that the world calls Blu Ricci. But, it is our productive capacity that is sought after with growing interest by the number-ones of the world. As with the wardrobe of the perfect gentleman, the same sentiment applies to the SR Home Collection – handmade crystalware and cutlery, porcelain with platinum and gold finishes, bespoke furnishings and fragrances made of essences selected through purity. Fabrics for estates, home accessories from the Antico Setificio Fiorentino, which has been open uninterrupted since 1786 and has furnished noble palaces, royal homes, museums, penthouses in contemporary metropolises, and the most exclusive yachts... Welcome to the world of Stefano Ricci!